Savvy Rest took a big step to underscore values we care about at the end of 2012. We became an employee-owned company. What this means is that all our employees, from the skilled workers who sew, custom-cut, package and ship Savvy Rest products to those who work in our offices, will benefit from our company’s growth and success. Studies of employee-owned companies have shown that not only do these companies perform well financially, but there’s an uptick in employee morale and well-being as well. Many people consider employee ownership a positive factor to consider when deciding where to purchase. Pride in ownership pays big benefits to everyone—including consumers. When you buy from a natural mattress manufacturer that is employee owned, every employee feels invested in providing you the best experience possible. When you call, you’ll be speaking to an owner. The response to your email will come from an owner. 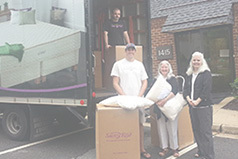 Your mattress or bedding will be handled, packed, and shipped by an owner. Every step of the process is an opportunity for us to offer you outstanding service—and there’s no one more motivated to please than an owner-employee. We know that when we make buying a natural mattress a positive experience for you, we’re also making a positive difference for our own families. 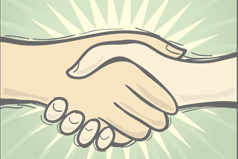 There’s a buzz in the air, and an already-great employee team just got greater. At Savvy Rest, we are as proud of our people as we are of our products. So it just makes sense that these folks who work so hard every day should benefit from their sincere effort. We all own our own futures—and every day, every one of us is responsible for making your mattress shopping experience as good as it can be. Savvy Rest's approach to selling has more to do with selflessness than "closing."